Ready … Set … LINC! 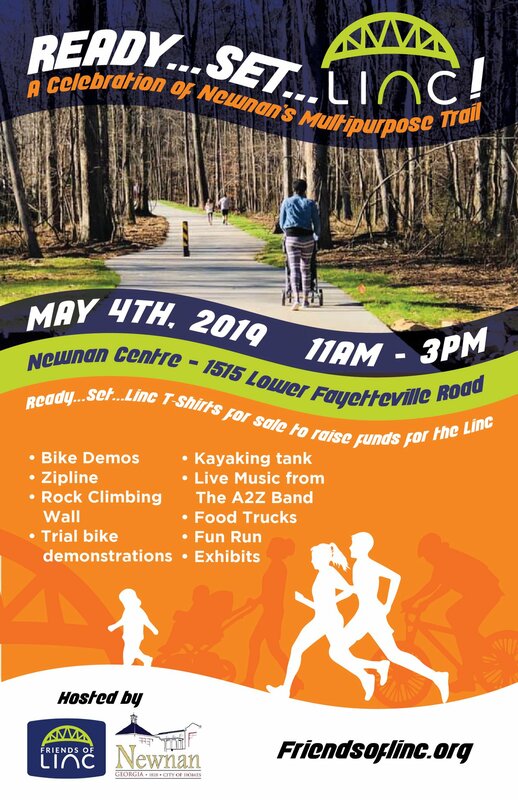 Come celebrate with the Friends of the LINC and the City of Newnan (Government) on May 4th on the new section of Newnan’s new Greenway Trail project The LINC. There will be all sorts of fun like: Bike demos, kayaking tank, pump track, rock climbing wall, food trucks, fun run, live music, and trial bike demonstrations. Come join us for the celebration and we will tell you about the new MTB trails we are developing along the LINC.